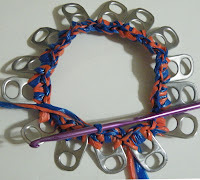 Pop Tab Bracelets are the newest fashion trend!!! This Crochet-Plarn Along is for anyone seeking a 'last minute gift idea' or have a 'hard to buy for person' on their gift list. Important Note: Not all plastic is made the same. When using plarn, achieving the desired size or gauge is dependent on the texture, thickness and strip width of the plastic yarn. Read through pattern instructions before beginning. 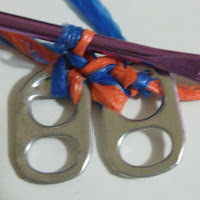 Tutorial: Pop Tab hdcfp: Yo, insert hook through front of same pop tab back around to front of next pop tab, yo, pull back through front of 1st pop tab, yo and pull through all 3 sts on hook to complete hdc st. When using plarn, stretching your work after every couple of rows is important. This will give you a more realistic view of what you have completed up to that point. Plastic in general is susceptible to ripping/tearing due to its very nature. When 'weaving in ends' - it is best to maneuver your craft needle in between stitches and not through a stitch to avoid splitting the plastic yarn. 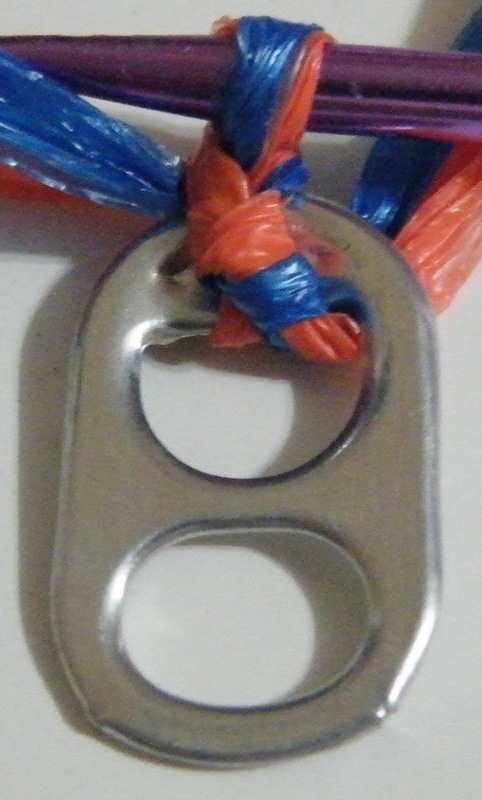 Round 1: Join with a sl st in a hole of the pop tab, 2 sc in same hole. 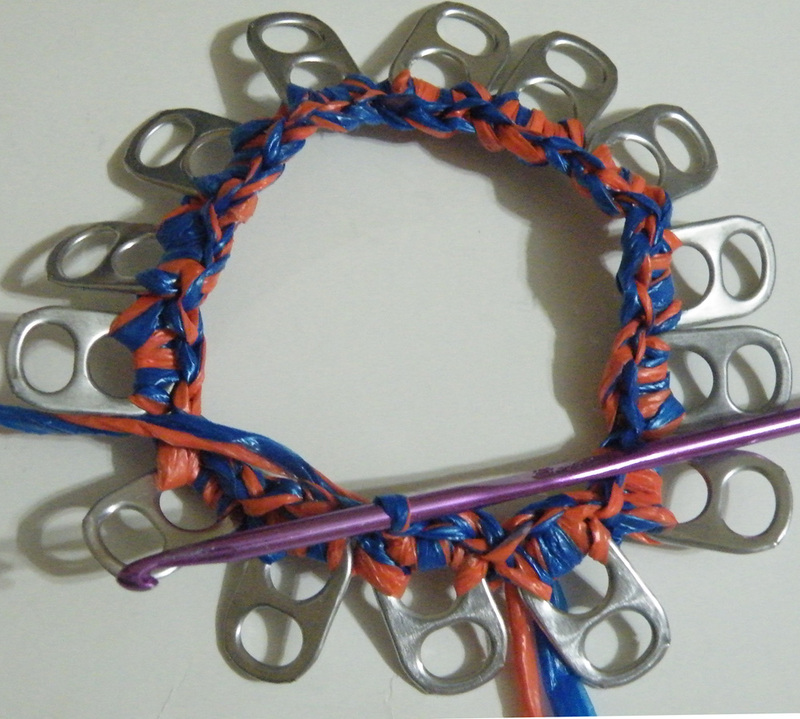 To finish Round 1, bring the ends together to form a circle making one more sc in the beginning pop tab. Join with sl st to 1st sc in same hole. Please let me know if you have any questions or comments about Part 1 pattern instructions. 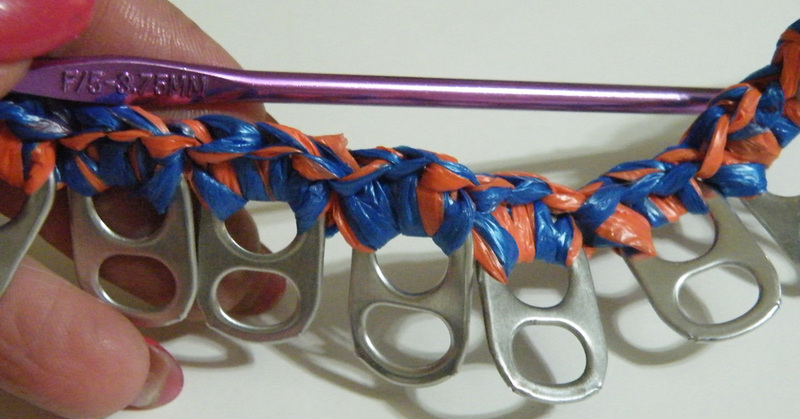 Starting today, Dec 7th thru Wed, Dec 15th post progress pictures to show off your pop tab beauties.